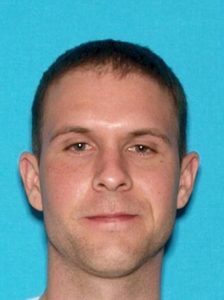 Paso Robles and Atascadero police officers, as well as county sheriff’s deputies, served a warrant at the home of Christopher James Sprague, 34, where they found numerous items of unopened merchandise. The times included collectibles, clothing, cologne, video games, movies, water filtration devices, baby items and hair conditioner, a Paso Robles Police Department new release states. After using fraudulent credit card numbers to purchase the items, Sprague would have the goods delivered to multiple locations. He would then go to the locations to pick up the items before reselling them, the press release states. Police arrested Sprague on multiple felony charges of credit card fraud, receiving stolen property and theft. At the time of his arrest, Sprague was out on bail over similar charges that stem from a 2015 fraud case. Officers booked Sprague into the San Luis Obispo County Jail, where he remains in custody with his bail set at $70,000.An investigation into the case is ongoing. Anyone who has information about the case is asked to call the Paso Robles Police Department at (805) 237-6464 or anonymously call Crime Stoppers at (805) 549-STOP. He will never go to prison under California’s realignment scheme. It’s a non-violent, non-sexual, non-serious crime, silly! At most he’ll do a few months in jail and then be set free to continue to conduct his business as usual. Some more of Brown’s catch and release too small to keep. “was out on bail over similar charges that stem from a 2015 fraud case”, seems to be a viable business model. High tech and High crime seem to go hand in hand.